This morning I had to stop for gas before work. I have this great grocery store rewards card that helps me save money on gas. The more I spend on groceries at said store, the more I save on up to 20 gallons of gas at the pump. Easy math. Saving money = Good math. Only problem? The tank on my new car barely holds 20 gallons of gas. Since I don't like to let it get completely empty, I can rarely pump all 20 gallons. Which always leave me feeling a little cheated. I mean, no matter how small or large my discount is, if I don't pump 20 full gallons, then I feel like I'm losing on this deal. But this morning, no matter what I did, the most I could fit into my tank was 18 gallons. Dang, that meant I was going to leave 40 cents of my discount on the table! While 40 cents doesn't seem like a lot, it's my 40 cents. Besides, it's the principle of the thing. Just then, a couple pulled up next to me. Without thinking twice, pump in hand, I stepped across the concrete to the other side of the pump and asked, "Could I possibly pump 2 gallons of gas into your tank?" They looked at me a little oddly. I explained, "I know this sounds weird, but I have a 20 cent discount on 20 gallons of gas, but I can only fit 18 gallons in my car. I'd rather give the gas to you than lose the discount. Do you mind?" The lady laughed. "Girl, I know just what you mean! I always try to work my discounts and hate to leave them on the table. Thanks so much for the gas - we really appreciate it!" The guy laughed too as he removed the gas cap. "Well, this is the darndest thing I've ever heard, somebody givin' me gas! Sure, we'll take it, that's awful nice of you." He took out his phone and chuckled. "I think I need to Facebook about this or something - girl giving out gas first thing in the morning!" I pumped gas into their tank until the pump shut off at exactly 20 gallons. Meanwhile, we talked and laughed together. They thanked me again and wished me a blessed day. It was a brief encounter, three strangers sharing a dribble of gas at a convenience store before work on a Thursday morning. But it made me feel good. Now, for some more math. At $3.42 - $.20 per gallon for 18 gallons, I put $57.96 worth of gas in my car and saved a whopping $3.60. At $3.42 - $.20 per gallon for 2 more gallons, I put $6.44 worth of gas in another car. Hanging the hose back on the pump, I looked over at the couple. I noticed their car was an older model, small and pretty worn. Getting back in my brand new van, I noticed they were counting out money as they reached for the pump. Driving away, I noticed something else. They were waving at me and smiling. And I was waving and smiling back. And I felt like I got the better end of the bargain. I admit, it's really bad math to pay an extra $2.84 to use up a 40 cent discount. But putting a smile on the faces of three people first thing on a Thursday morning? 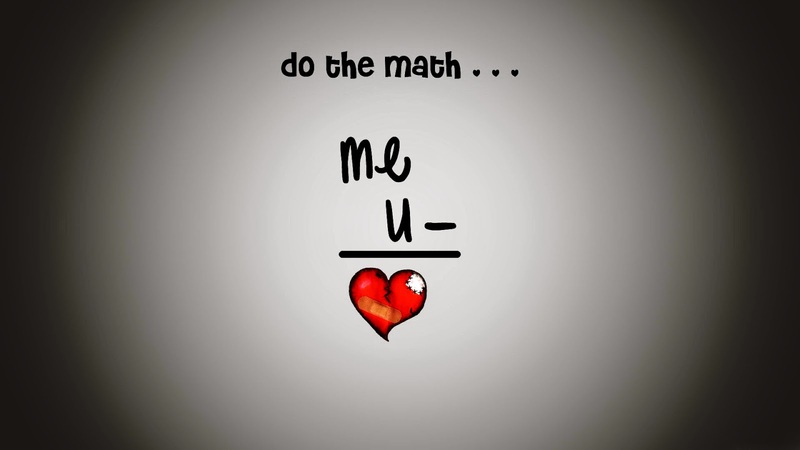 Priceless, heartfelt moments...Now THAT'S good math! I love this!